Arriba, arriba! The Cape Town Carnival is rolling into town! 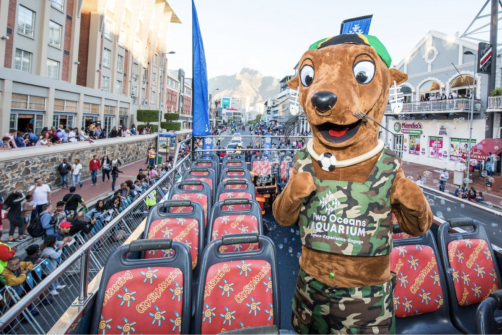 Come Saturday 17 March, the streets of Cape Town will be lined with floats, dancers, acrobats and the most colourful decorations imaginable. The only question is: where will you be enjoying the extravaganza from? Why not hop on a stationary double-decker City Sightseeing bus-turned-pavilion for the best view in town? In keeping with this year’s theme of "Mother City, Mother Nature" the carnival will celebrate what it means for Cape Town to be known as the Mother City. Expect 2 000 musicians and performers slowly making their way down a 2km stretch of the Cape Town Fan Walk as they dazzle thousands of onlookers packing the sides of the streets. Dressing up and participation are mandatory, so don’t forget your glitter and dancing shoes at home! Book your seat on one of the City Sightseeing red-bus pavilions along the Fan Walk for bird’s-eye views of the spectacle, and remember to keep you eyes peeled for the red bus in the actual parade! At sea about this year’s theme? The Cape Town Carnival explains this year’s theme as follows on it website: “Explore the convergence of Nature and City embodied by Cape Town’s twin treasures: its fascinating people and natural wonders. The Cape Floral Kingdom is one of startling beauty, diversity & resilience. The people of Cape Town are just as diverse, resourceful & determined. Colourful cultures & traditions from across the continent and the globe have taken root here.